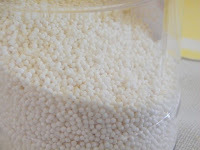 I once bought a bag of tapioca to use in a drink recipe but was quite ignorant of how the tapioca needs to be cooked. I followed the directions in the recipe which called for cooking it in cream. That lead to disaster. 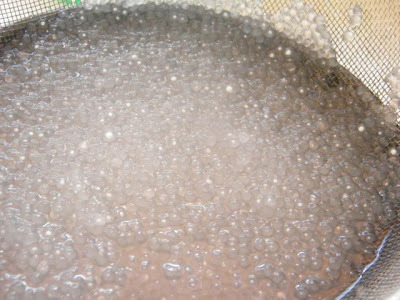 The tapioca wasn't cooked through and was tough. Thinking I did not cook it long enough, I tried the recipe again and was a failure once more. And so we shelved the rest of the tapioca until it went past its expiration date and we had to throw it away. At that point, I missed the Baguio City market where you can buy the tapioca pre-cooked and in various colours! 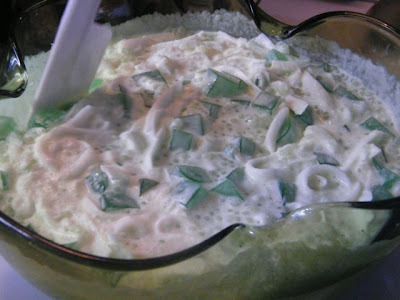 Our interest in the tapioca was revived when we helped prepare buco pandan with a friend and she proceeded to cook the tapioca. Not the big ones, but their teeny-tiny cousins. The tapioca gives texture to the buco pandan, making delightful desert even more scrumptious. And so we decided to give it another go, and this time use this smaller variety. 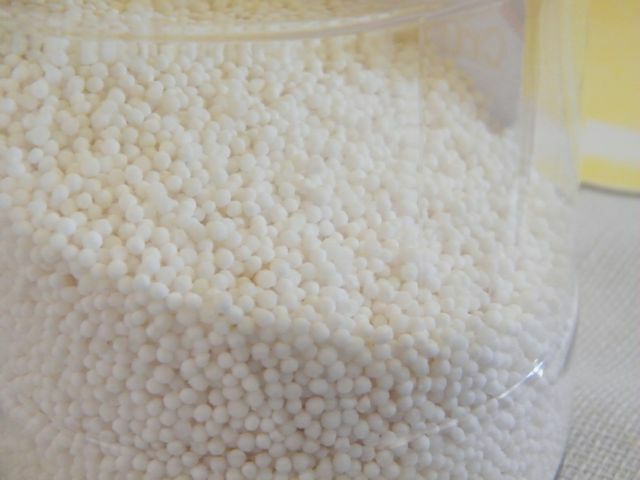 All you have to do is determine how much tapioca you need. Put this in the pot, and add about four times as much water. 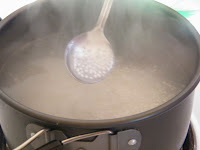 Bring the water to a boil, then reduce heat to medium-low. stirring constantly so that the tapioca won't stick to the pot's wall and burn, nor stick to each other. You know the tapioca is already cooked when most of the balls no longer have a white centre. You don't need to wait for all of the whites to disappear. When it's done, strain it and submerge in cold water to stop the cooking and keep them from sticking to each other. Remove from the water then combine it into your desert recipe. Yum!